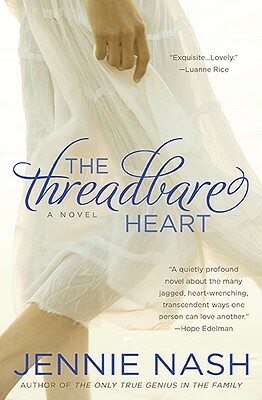 The Threadbare Heart is as complex as any family album, with many characters and points of view. Did you identify with any of the characters? Discuss which ones and, if so, why. Throughout The Threadbare Heart, Lily and Tom alternate between cherishing their knowledge of each other and wondering if they are capable of knowing each other at all. What does it mean to truly know someone? Eleanor and Lily both see the avocado farm as the answer to their familial problems, but for different reasons. Eleanor has money to burn and wants her loved ones near, whereas Lily sees the opportunity as a fresh start that could reinvigorate her marriage. Are their expectations met? Ryan constantly compares his relationship with Olivia to that of his parents. What are the major issues for them? Lily is emotionally attached to the fabric she has collected throughout her life. She observes that Eleanor never holds on to things—or people—because in doing so it leaves a person vulnerable to pain. Lily says that for Eleanor "fabric is just a means to an end." What does she mean, and does it relate to Eleanor's attitude toward men? Lily's friend Marilyn and her mother seem to share the belief that you should put yourself first in marriage and in life. Lily feels differently; she credits her willingness to compromise as one of the keys to her long marriage. Whose beliefs serve them better? Were you surprised at Gordon's feelings for Eleanor? Why or why not? The theme of love in marriage is at the core of The Threadbare Heart. According to Eleanor, love is an illusion and you're better off keeping it at a safe distance. On the opposite end of the spectrum is Gordon, who believes that love is a choice. Where does Lily fall on the spectrum? What effect does losing Tom have on her perception of love? Do you think Eleanor deserves Gordon? The crisis of Tom's death brings Olivia and Ryan closer together, although their problems are still very real. Can their marriage be saved? Where do you think they might be five years from now? At one point Eleanor refers to her first husband's sudden death as an "elegant solution" to the dilemma of her unhappy marriage. Is her brutal honesty refreshing, cold, or somewhere in between? Do you agree with Lily's decision to send Tom's (?) body back to Vermont to be buried in a cemetery instead of cremated? Discuss the physical relationship between Jack and Lily. What do you think of Jack? Is he an opportunist taking advantage of a vulnerable person, or is there legitimacy to this informal sort of therapy known as sexual healing? Why do you think Lily decides to incinerate her wedding ring? How is the process therapeutic for her? Grandma Hattie's lace becomes a significant metaphor for untapped potential. As Lily puts it, "The life of the lace had been one of longing, of waiting, of stories not told." What does she finally decide to do with the lace, and what is the meaning of her decision?